Registration for the Zanesville Seventh-day Adventist Elementary School is now open. 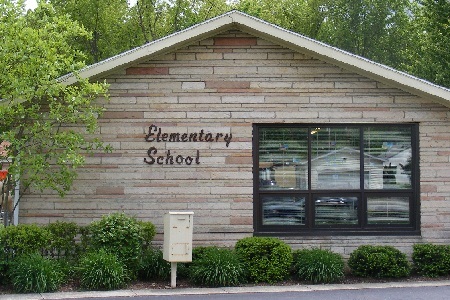 If you are interested in enrolling a child in the Zanesville Seventh-day Adventist Elementary School, please fill out the interest form with the link below; We will contact you to talk about what we can offer and set up a tour. We use the North American Division Office of Education's "Stepping Stones: A Journey to Excellence through Discovery" Kindergarten program. It is a comprehensive curriculum, based on national kindergarten standards. History comes to life! What better way to learn about our past than to meet it face to face! Every year Mr. Hoover teaches a special class in which he introduces a period of history in character. Our class has been visited by Davy Crockett, Abe Lincoln, Julius Caesar, a swashbuckling pirate, and a World War One flying ace. Students in 5-8th grade at Z.A.S. have the opportunity of taking part in the Ohio Conference's Music Festival held in Kettering. The students get together with other Adventist schools in Ohio and perform as a large choir and also as individual schools in a special concert. At Zanesville Adventist School we take several field trips every year that link into our curriculum. Have you ever wondered if a small school can offer the same quality education as a larger public school? You may be suprised to learn some of the advantages small schools offer that public schools only wish they could. We offer individualization, flexibility, a family atmosphere, parental involvement, spiritual growth, and much more. Continue reading to find out what else we have to offer you and your children. An equally important aspect of our education is the work of preparing students to live a happy Christian life. Helping the children to develop such character traits as kindness, teamwork, and love is core to the mission of our school. If you seek the value of a caring, Christian environment with dedicated teachers, a family atmosphere, and high standards, then this is the school for you and your child! The school is a chartered, private school, fully accredited and recognized by the State of Ohio. Prepare our students for a successful life in this world and for a future in Heaven. The students were treated to a visit from a service dog. The children learned how Caesar the dog helps his disabled veteran owner, Mrs. McCalister, get around more easily. The school invited the students' parents and families to come in and join us for a lunch to celebrate "National School Choice Week". Each child was presented with a yellow fleece scarf. The upper grade class studied the Charles Dickens' classic "A Christmas Carol" and took a field trip to see the musical at the Palace Theater in Columbus. Every year the school students help raise money for the Leukemia and Lymphoma Society. Students take part in special days like "Hat Day" and "Character Day"
The students perform in a musical program and then afterwards serve their friends and families a Valentine's Dinner. This is one of our biggest fundraising events of the year.